*hangs head in shame* I'm a bad, bad blogger. I have been so haphazard in posting my swatches from this collection. The back log of swatches I need to post is really getting ridiculous. 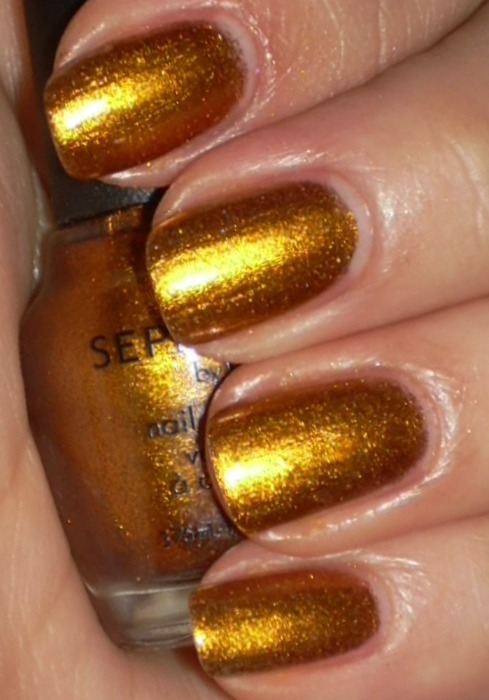 These three polishes are from the Sephora by OPI Havana Nights collection. I've previously shown you Havana Dreams and Mambo Madness. I still need to get my swatches of Read My Palm up, though I think they're on a flash drive somewhere...Anyway :) here we go! 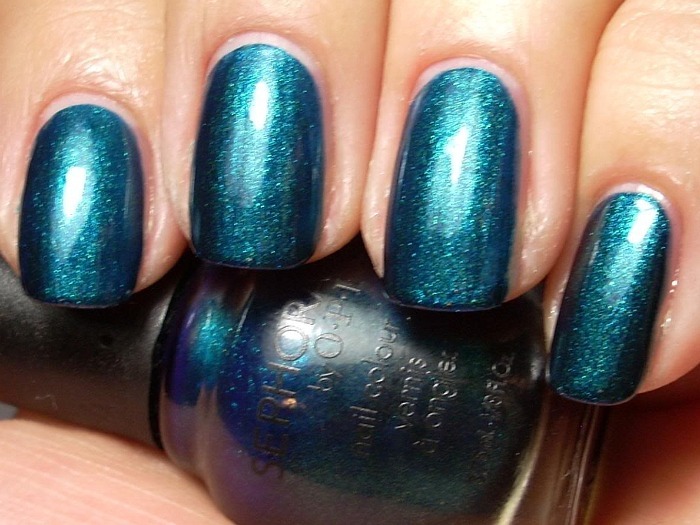 Teal We Meet Again is a really unbelievable color. I was really excited for it when I first saw promo images for the collection but was seriously blown away by it in person. A very blue teal, with dark sea green underpinnings. 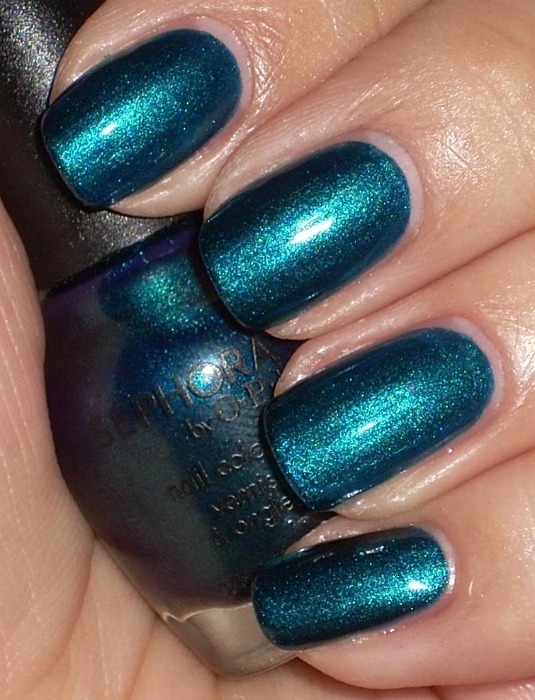 Super shimmery and it plays with your eyes, I just want to swim in the depths of this color! This is two coats. Can I just tell you how much I love how my nails look in these photos (length and shape) and at the same time cannot figure out what is going on with my hand placement?! I guess long nails make me a dummy dumb who can't hold a polish bottle without looking "special". Caliente Coral is another one I really love from this collection (I actually think I adore all the shades in Havana Nights, except Caribbean Cocktail which I didn't get.) It's more orange per say, than coral. Very easily applied and really POPS against my skin tone. Two coats! Rumba Romance was the one I wasn't sure I was going to love when I bought the mini set, but turns out I really enjoy it. It's a gold brass, almost foil polish, more on the microglitter side. This color would probably have a hard time finding a good home, however, unless you have a darker skin tone. I think it looks nice on me, but if I were one shade paler, it might look pretty horrendous. This is three coats.